And I’m afraid I’ve done no work and little else of any use... But my kind, industrious friend in the outside world, Jolyon, has lent me a lovely LP of 17th Century German consort music to share with you. I say lovely - the sounds are lovely but I do wonder why Dart recorded this and similar repertoire (such as Dowland’s complete Lachrimae) with many strings. From someone with his flair for the dramatic, these beautiful but plush sonorities seem a miscalculation, slightly disarming this wonderful music. Still, I can’t agree with The Gramophone’s reviewer who, in August 1960, found the dances a bit samey and was unimpressed by the Biber. 17th Century German consorts are some of my favourite fare, as are nobly rotten Rieslings, and the deeper recesses of the Cave are well stocked with both. 5 mono, fully-tagged FLAC files in a .rar archive can be downloaded here. Apologies, I guessed a recording date of 1959 and uploaded the files tagged thus, before checking CHARM and finding that Michael Gray gives July (possibly 1st July) 1957. ‘The spectacular development of violin music by Italian composers of the 17th and early 18th centuries has tended to overshadow in our eyes its growth in the other countries of Europe. Yet it was in France that the first professional string orchestra was established, as early as 1555, under the direction of the Frenchified Italian, Balthasar de Beaujoyeulx. Later this body became the famous Vingt-Quatre Violons, and it provided the French court with all its music for ballet and dancing during the next hundred years or so. Itinerant French dancing-masters taught all Europe the new French dance-steps, to the shrill sounds of their little violins (kits or pochettes); and similar string bands had been established in most of the princely courts of northern Europe by the third decade of the seventeenth century. Some extracts from the repertoire of the 24 Violons have been issued on OL 50174 (‘French String Music, Louis XIII to Louis XV’). ‘In Germany the development of dance music was enriched by elements persisting from the older, native style of the 16th century – the Allemande, after all, is only a Frenchified version of a native German dance – and by the English consort music circulated in Germany by such expatriates as Thomas Simpson and William Brade. Both Simpson and Brade held important posts in North Germany and Denmark during the first twenty years of the 17th century; some of their dances have been recorded on OL 50127 (‘Dances of Shakespeare’s Time’). ‘Side 1 of the present disc explores some of the string music composed by three leading composers of German-speaking Europe: Hans Leo Hassler (1564-1612), born at Nuremberg and working in Augsburg, Ulm, Prague and Dresden; Melchior Franck (1573-1639), born at Zittau, and working in Augsburg, Nuremberg and Coburg; and Christoph Demantius (1567-1643), born at Reichenberg, and working in Leipzig, Zittau and Freiberg. The side begins with four Intradas from Hassler’s ‘Pleasure-Garden’ (1601: nos. I, II, V, IX), for six-part strings – effortlessly polyphonic and richly sonorous music. Next come four 5-part Galliards selected from the ten contained in Demantius’s collection of ‘77 ... dances in the Polish and German style’, published in 1601. The side ends with four 4-part dances by Melchior Franck, from his ‘German Secular Songs and Dances’ (1604: nos. 11, 3, 26, 21): an untitled dance, which any French dancing-master would have classed as an Allemande; an eloquent Pavana; a brisk Galliard; and another untitled Allemande. ‘Side 2 tries to illustrate how these seeds grew into the more elaborate and mature style of later 17th-century orchestral music from central Europe. The side begins with a Suite for 5-part strings and continue by Johann Rosenmüller (1619-1684), born in Saxony, assistant master of the Thomasschule, Leipzig, from 1642 to 1655, and later working in Hamburg, Venice and Wolfenbüttel. His collection of ‘Music for Students’ was published in Leipzig in 1654, and was intended for the predecessors of Bach’s club of young University musicians. From it we have chosen the second Suite in D minor: Paduan, Alemanda, Courant, Ballo, Sarabanda. Rosenmüller has contrived the last four of these so that, if need be, they can be played in only three parts, without violas. Since the Paduan cannot be so played, he has supplied an alternative 3-part Paduan – omitted from this disc, since we use a five-part orchestra. 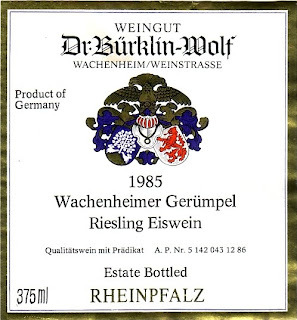 Good idea - a download accompanied by a compatible Riesling. You'll have to show us how you digitized that! I'm going to give this a try. I've enjoyed immensely previous recordings of the Philomusica. I am so pleased to have my horizons broadened by this wonderful rip, which I will download forthwith. The recordings of Mr Dart have not been properly examined over here in the States and I feel partially culpable for neglecting his and Boyd Neel's discs when they do show up. Thank you!! and Bon Voyage. Thanks for this Herr Grumps. Your point is well made about the unremitting rhythm kept in many recordings of that era. I still have somewhere two vinyls of the historic early 50s Brandenburgs by Gussy Wenzinger and His Basel Baroque Revival Band, where Eduard Müller turns this into a virtue: his harpsichord cadenza in the fifth is spendidly remorseless like an unstoppable little locomotive. V-L's Little Train of the Caipira would be left in its wake. Mainly for that rhythmic reason (also partly unexciting recording quality, perhaps - can be deadly for a spinett), Dart has previously sounded a bit duller than necessary to me. But despite your description (! ), I'd like to hear this. I have two different recordings of some of Hassler's Entrances to the Garden of Earthly Pleasures - including David Munrow's splendid arrangements - but those are all basically for wind band. How will they sound on strings? Have only listened to the Hassler and Biber so far. Had I not heard (of) Hassler before, and others of the Intradas on brass and woodwindy brass with accompaniment (cornets, sackbuts, racketts or regal), I am sure I would have enjoyed it a lot. As it is, it was stately in both positive and negative ways. Positive: it has that surefootedness (soles of the feet on the ground) of much of the best of Renaissance instrumental music, and a certain sway. Negative: slightly too solemn, even slightly portentous. The recording was clearly from an era where the old music was played with the reverence of rather grand tempos, and even rhythms, ... whereas nowadays it would usually be given more freedom, more taksim, more Istanpitta, more elan. Probably makes me sound grumpy too - not really, I enjoyed hearing more of a sort of music I like, in its modern infancy. So thanks again! As for the Biber - a bit more verve and daring there (including the long rests). 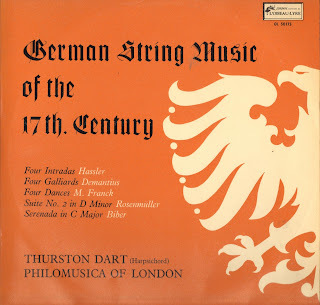 I have this from 1966 on vinyl somewhere by Mueller-Bruehl and his Orchestra, together with the mighty Night Music of Madrid quintet by Boccherini (far richer and more powerful when led by the cello than the usual guitar, btw). I prefer the sonority and dynamics of that version - partly just a matter of hi-er-fi - but this is good to hear too.